I've been so busy that I've found it almost impossible to make time to update the blog. 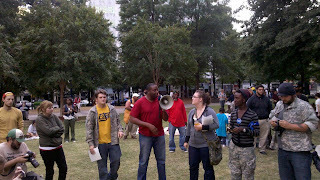 I originally had hoped to blog daily but my engagement with the Occupy Atlanta movement has ended taking way more time then I had anticipated. It's been a beautiful frustrating struggle worth every moment. I've decide just to write entries whenever I have the chance and to focus on smaller stories that aren't getting enough love in the press. I promise to have more updates from here on out! 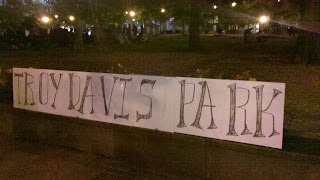 Last Tuesday Mayor Reed decided to evict everyone from Troy Davis park with overwhelming force. 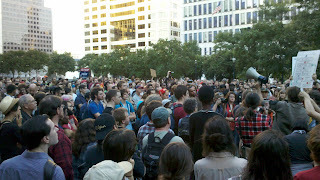 There was mounted cops, SWAT team, helicopters, barricades, giant spotlights, and an overwhelming number of police. 52 of us were arrested inducing myself. After spending a day in jail we began talking about where and how we would reoccupy a space. It was my sense that we needed a morale buster. Something bold and in the spirit of civil disobedience, yet something that wouldn't end up in certain arrests since Occupy Atlanta had been relegated to public enemy #1 by Mayor Reed. So we decided to take refuge in the shadow of an Atlanta giant, Martin Luther King Jr. We knew it was federal property but we couldn't imagine the city dragging us away in from of the Martin Luther King Jr Center for Nonviolent Social Change. Within five minutes of our arrival we had a police helicopter and about fifty police officers. Though our crowd was scared most decided to stay. Senator Nan Orrock and City Counsel person Kwanza Hall showed up to try to talk the police out of arresting. After an hour or so police finally gave up and went home. 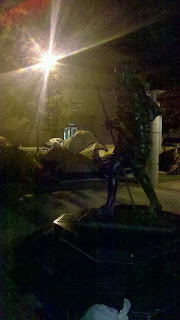 We spent the rest of our night fellowshiping around the Gandhi statue, in total awe of the surreal experience of camping outside the King center. 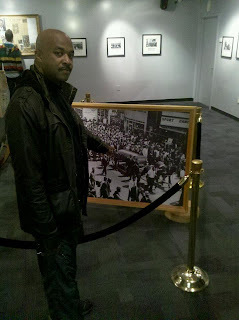 When morning broke we decided to stick around and experience the King center. 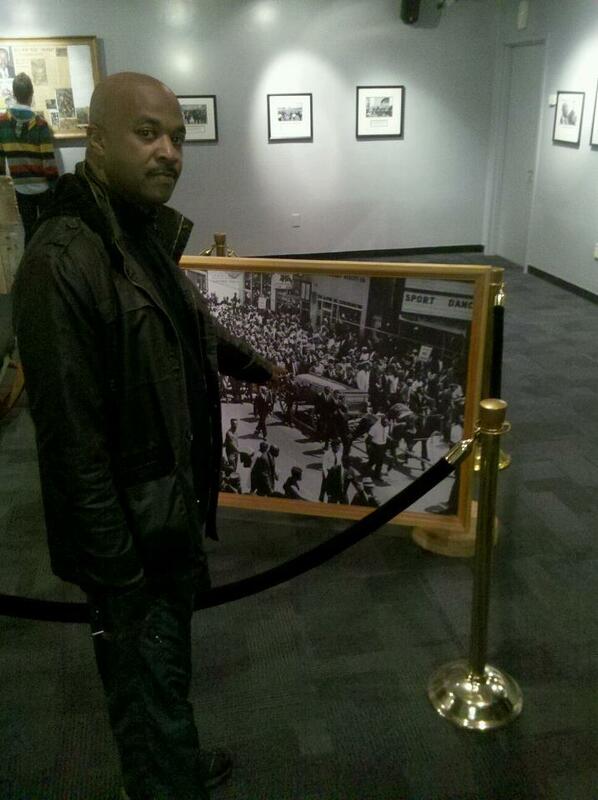 Kwanza Hall was nice enough to bring us some breakfast and talk to use about his fathers legacy in the civil rights movement. 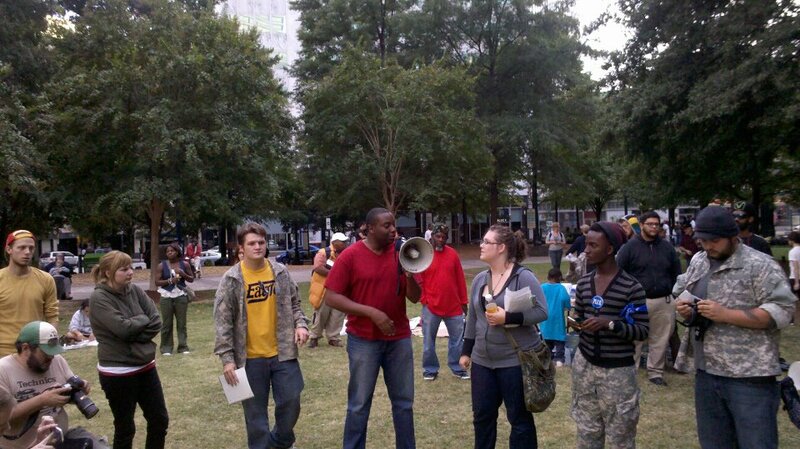 I had originally planned on doing a daily blog post focusing on Occupy Atlanta but I've ended up taking on so many tasks related to the movement that I've had little time to do so. I plan to make time this evening to write out some thoughts and updates, I can say that we live in extraordinary times with unseen possibilities. Below I'm putting out a list of daily activities that I'd encourage folks to come out to between now and Monday, along with a powerful video that was shot yesterday. 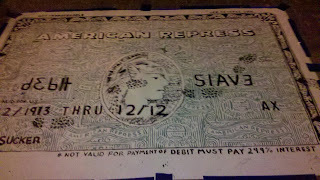 Hundreds more homeless people are created by foreclosures and joblessness every single month! Even with this, the Atlanta Task Force for the Homeless is being threatened of closure. We Cannot Allow This!! Georgia has the 3rd highest Poverty Rate among states and the 4th highest in Foreclosures in the country. WE NEED JOBS NOW!!! Come and learn skills from others while sharing your knowledge. Let’s Build Together!!! “THE CORPORATION explores the nature and spectacular rise of the dominant institution of our time. Part film and part movement, The Corporation is transforming audiences and dazzling critics with its insightful and compelling analysis.” and also includes interviews with 40 corporate insiders and critics. This Candle Light Vigil will be dedicated to a discussion on the impact of Dr. King’s racial massage. We Must Keep This Discussion Alive!! Learn the stories of people struggling on one block of Mitchell Street. These are stories of the homeless, jobless and business owners on the verge of losing everything. Hear The Stories of the 99%! 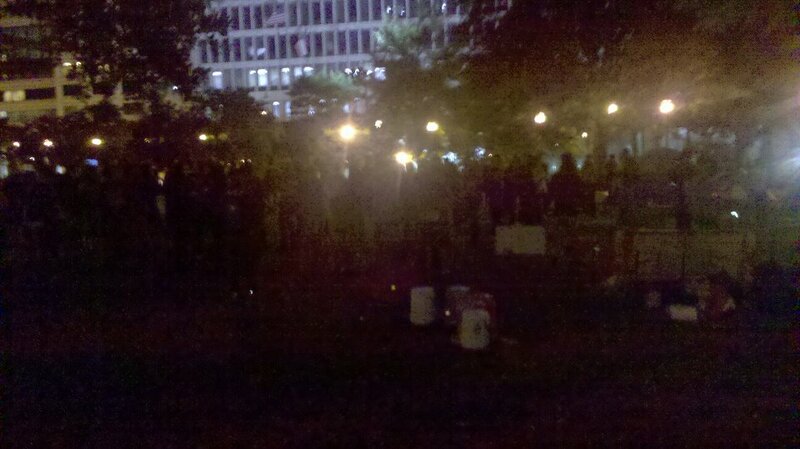 We need critical mass at 11pm, when the park closes. 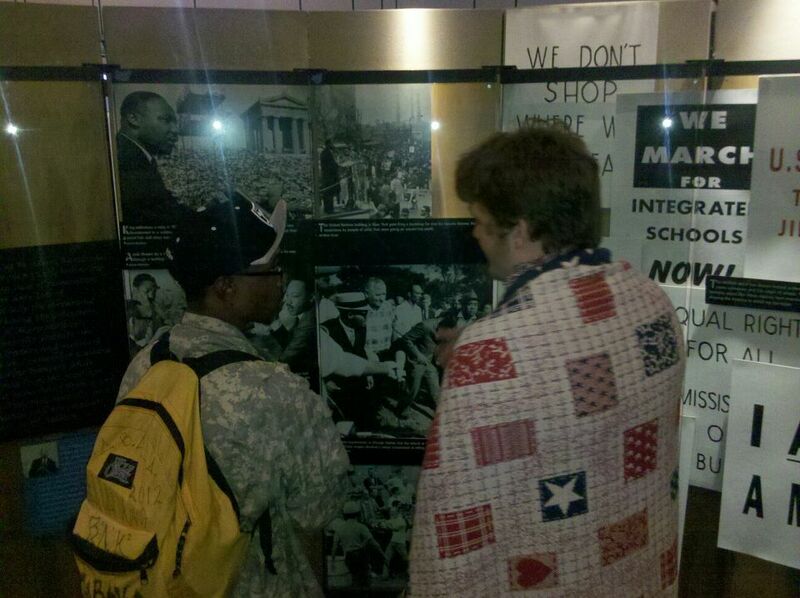 Those who are present will not have to participate in non-violent civil disobedience if they choose not to. We need not only folks who are prepared to put their bodies on the line, we need those that are willing to witness and keep the occupation alive. 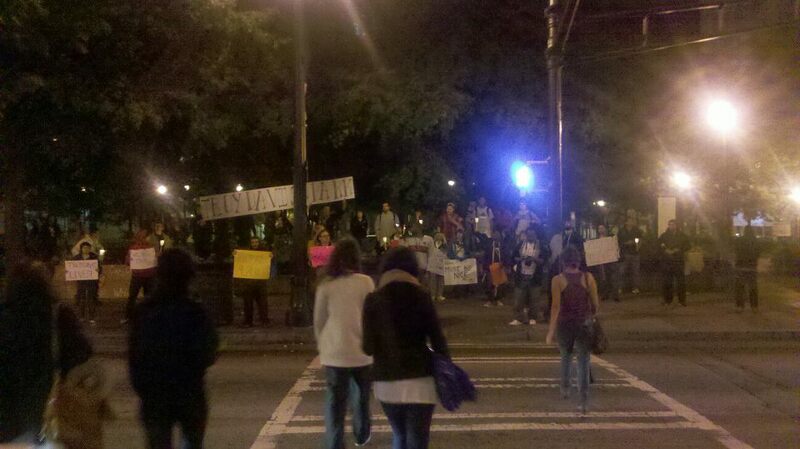 What is Occupy Atlanta? Interviews 10-13-2011 from Ryan Winsor on Vimeo. 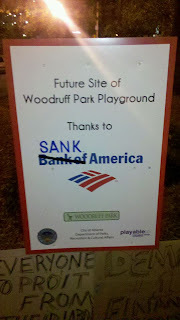 I woke up this morning and saw the sky swell with dark grey clouds over our new home in the renamed Troy Davis Park. Stumbling from our tents, a group of us got together in the center of the park, came up with a plan, and built a canopy where our community could hold our meetings and provide cover from the gathering storm. It's that simple. There's a problem, there's a solution. Let's come together, discuss, and make it happen. Otherwise our community could have quickly been destroyed. We face the same threat of destruction in our country, right now as we speak. The greed of the few put a choke hold on true democracy a long time ago, and has left the majority of us out in the cold, soaking wet. But in this group of people, crammed together in the center of Atlanta's downtown business district, I've found some of the most beautiful, passionate, intelligent people I've ever met. We have united under the banner of Occupy Atlanta and have made it clear that we will not be moved. 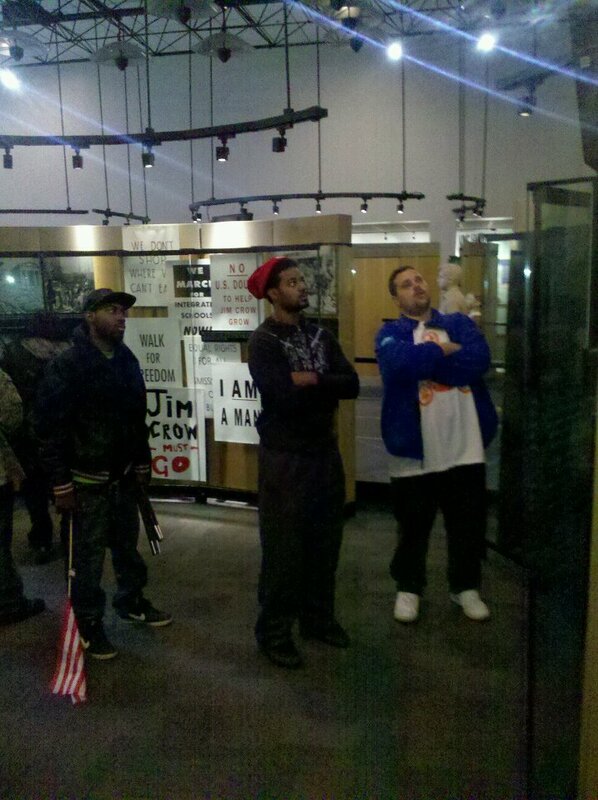 Even as we faced an army of police officers and the threat of incarceration, we stood our ground. Even as we received word of the attacks that were happening in Boston by the police there, and faced the realization that it could be us, we stood our ground. They are us, and my thoughts and prayers go out to them. To quote the late Sam Cooke "it's been a long time coming, but a change gonna come." That change is here and now. Its not a question of when anymore. Its happening. Does the city of Atlanta really want to be a part of the problem, or take a step forward and set an example as a city that listens and addresses the needs of it's community. Can we all reflect on the civil rights movement of the 60's and say to ourselves, not again will we stand by while people are being oppressed, demoralized, taken advantage and yes brutalized and even murdered. Can we stand up and say enough is enough. People ask me what is this movement about, what do you stand for. All I can say is come down and see for yourself. It's not something that can be summed up in a neat little sound bite for the six o'clock news. You have to experience it and get involved and then you will understand. The door is open, hell it's a public park. It's your park, come and claim it with us. It's some kind of miracle that today has been by far the most energizing for me considering that I have had almost no sleep in the last few days. I attribute the surge of spirit and energy to a visit from the Be The Change Crew. Be The Change Crew, a group of high school aged youth organizers, had a regularly scheduled meeting at the AFSC to finalize plans for our annual "Love Bombs" event. 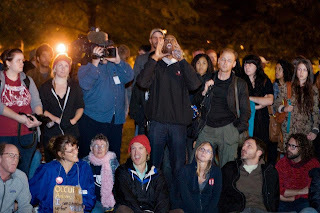 It ended up being a perfect opportunity to bring the whole crew down to Troy Davis Park(formerly Woodruff Park) to have a sharing session with Occupy Atlanta. The Be The Change Crew was exhilarated by the experience, especially the peoples mike, so much so that they decided to organize a youth gathering at Troy Davis Park this Sunday(10-16) from 2-6pm. During that time frame they plan to hold a youth caucus meeting and perform spoken word as well! I also have to say that the theme of the day for my has been efficiency. 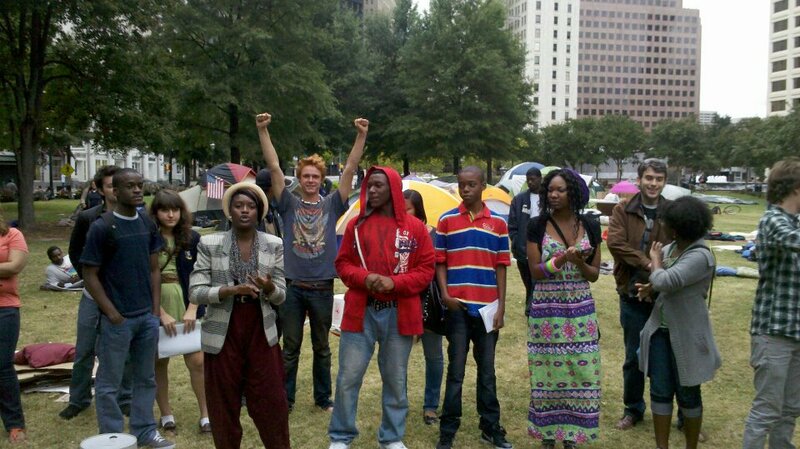 Today the Occupy Atlanta movement finally feels like it's developing real systems of direct service, communication, and trust with each other. The process really feels like it's working, and people are feeling at home with each other. For those who haven't come downtown, it's time. If you can't camp then come visit. There are needs for supplies if you have resources. We need blankets, tents, food, water, sun screen, ponchos, umbrellas, reams of paper, computers, and an 8x10 platform that could be used as a small stage. Please contact me if you're interested is contributing anything. 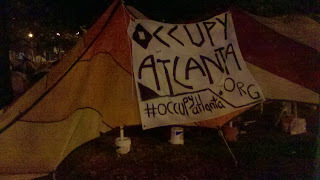 Our office at 60 Walton Street continues to be used as Occupy Atlanta headquarters, which is both taxing and exciting at the same time. 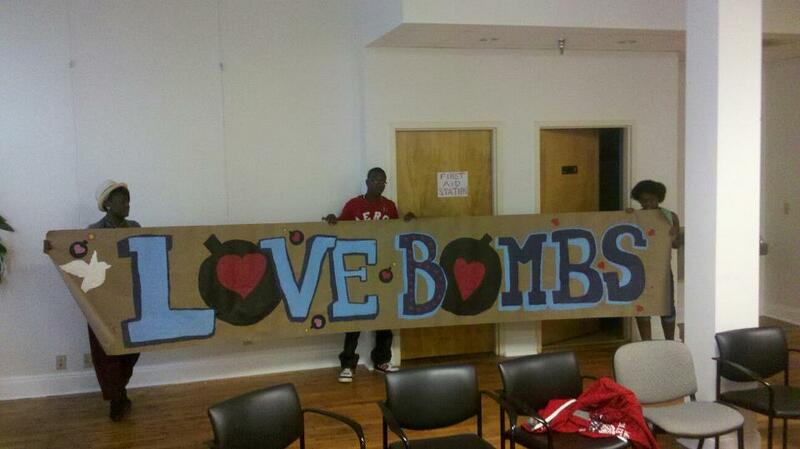 AFSC hopes to continue to support this important movement in anyway it has capacity to facilitate. It was clear by 2pm that the occupation was growing, slowing sprouting new tents every hour. While it's clear that this new community, which has sprung up in the last 24 hours, has a lot of work ahead, there is an electric feeling in the air. Throughout the day supporters came by with food, blankets, and good will. 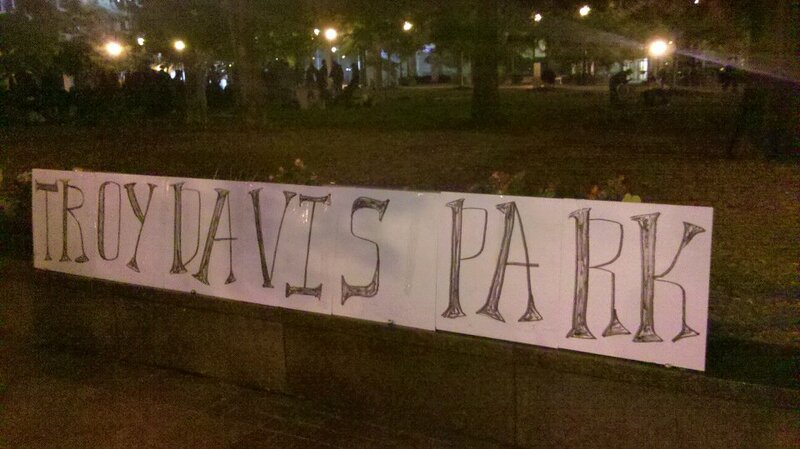 At the General Assembly the Occupy Atlanta decided to change the name of Woodruff Park to Troy Davis park and erected a large, "Troy Davis Park" sign. To mark Troy Davis birthday we held a candle light vigil at midnight to the back drop of countless honks from supportive passers by. None of us are sure where this movement is going, we know that greater struggle awaits, but the occupation movement is highlighting the often used phrase,"Another World Is Possible", in a very real way. I've decided to include some of the sign pictures that I really like in this post. Feel free to share, and come to Troy Davis Park!! 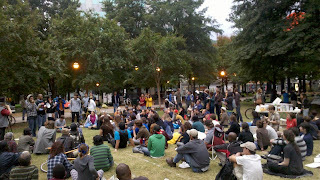 Tonight Occupy Atlanta held it's 5th and by far largest general assembly in Woodruff park. I estimate that around 700 people attended, many attendees had never been to a public demonstration and had no idea what to expect. Many where surprised to find themselves in the middle of the largest planning meeting they had ever been too. Not only was this planning meeting big, so was the meeting process. The Occupy Wall street movement is, in part, a direct response to the problems that come when an extremely small segment of the population control most of the wealth and, as a result, have a much louder political voice them others. Many occupiers have lost faith in the political system as it stands today. So it is by no accident that the decision making process the Occupy Atlanta group uses is participatory. 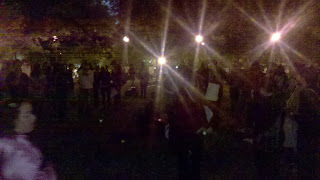 Many in tonight's crowd had never seen a consensus model in practice. The process has a tendency to be beautifully inspiring and painfully frustrating at the same time. The process is a struggle. Perhaps real change from the ground up can't come any other way but through real struggle. 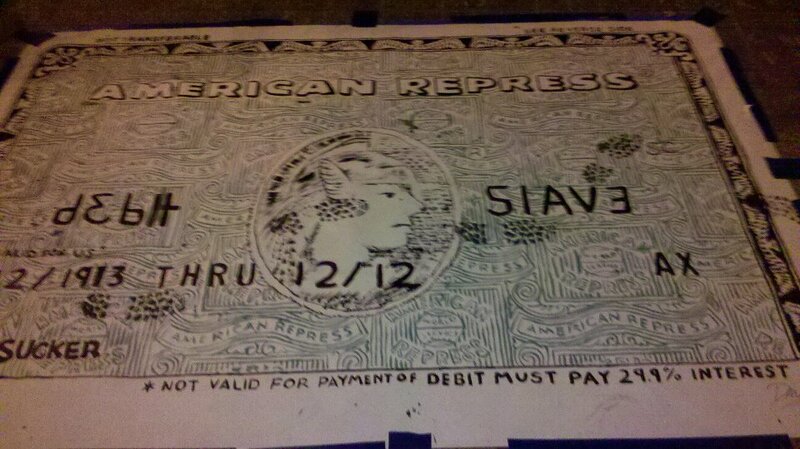 It's been interesting to see the ways in which people very new to activism respond to this process. After hours of meeting the decision was made to illegally occupy Woodruff Park. As of now, 1:32am, the police have made no arrests, although there have been several showings of polices force. 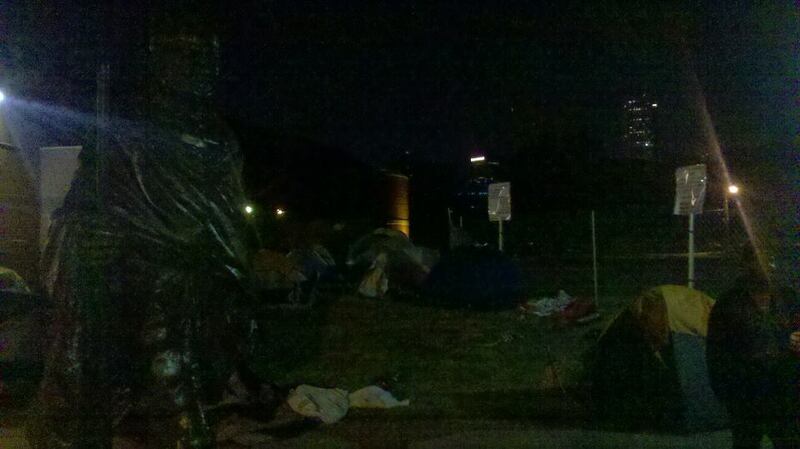 There are several hundred people camped out in the park, with many others set to join tomorrow. 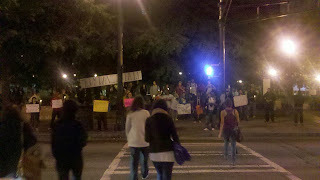 I look forward to publishing the demands of Occupy Atlanta as soon as they are officially accepted, they are beautiful. 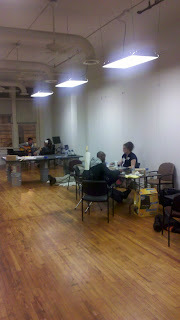 The AFSC Atlanta has been happy to open our doors to the Occupy Atlanta group, and they have basically transformed our 2nd floor into their headquarters. It's a safe space where folks can use the restroom, get some food, check in with the media center, and get first aid. 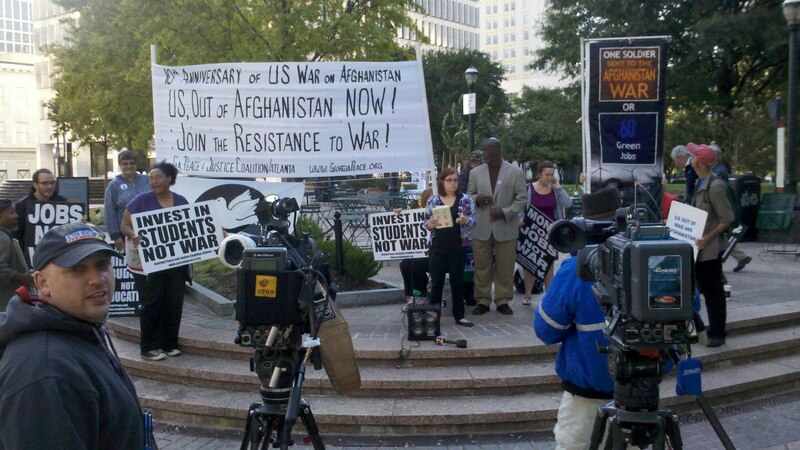 American Friends Service Committee was part of a coalition of groups the organized a week of resistance and education around the war and occupation of Afghanistan, the longest war in US history. 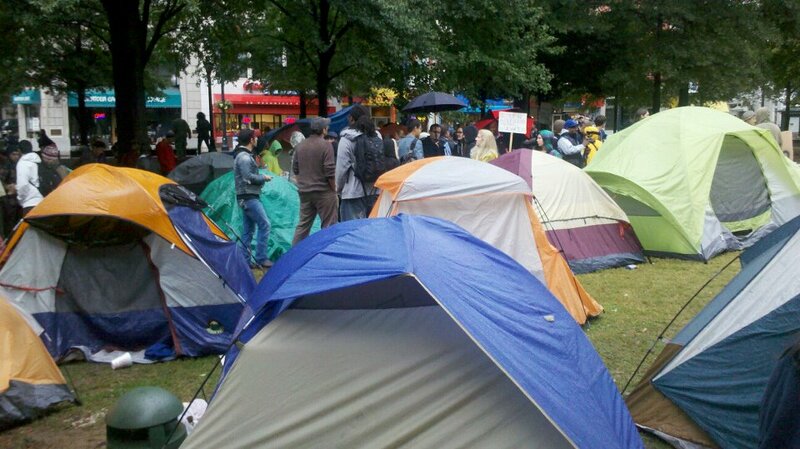 To mark the actual 10 year anniversary an occupation of Woodruff park was organized along with a press conference featuring several local activist. Thousands of leaflets were passed out to passers by. 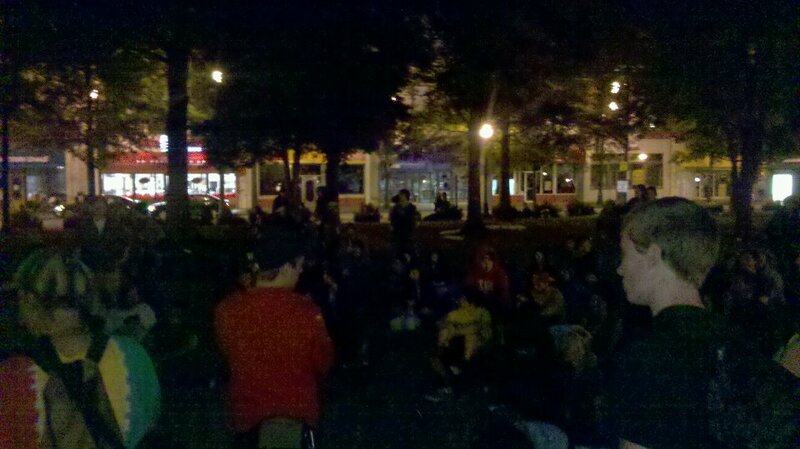 The event officially ended at 6pm but many stuck around to participate in Occupy Atlanta's 5th General Assembly. 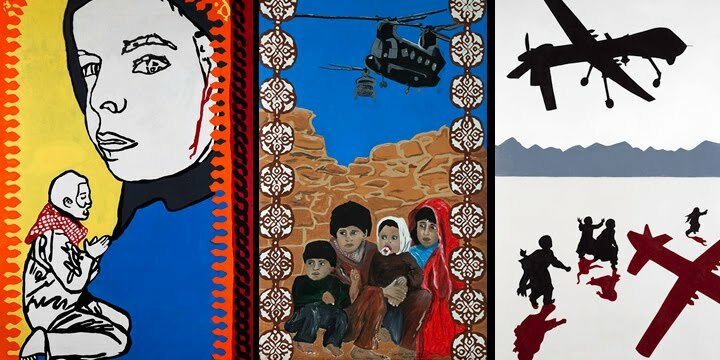 While many Americans are just beginning to grasp the devastating human and economic effects of the longest war in US history, the Afghan people have grappled with both for three decades. A brighter future for both countries depends on a US choice: More war or investment in jobs and a sustainable government in Afghanistan. The impact of the war there is almost unimaginable. 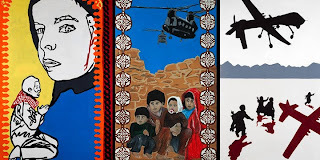 A 2009 survey by the International Committee of the Red Cross found that 96 percent of Afghans have been affected by warfare; 35 percent indicated that a family member had been killed, 29 percent said they had been tortured, and 35 percent had been wounded. An astonishing 75 percent had been displaced from their homes. For Afghans, the US invasion represents the continuation of a civil war that began with the Soviet intervention in 1979. Yet even as they deal with decades of emotional, physical, and psychological damage, Afghans have shown extraordinary resilience. Despite displacement and exile, they have maintained their political, cultural, and social identity, and family livelihoods through extensive networks of remittances. Though they possess the capacity to build their own country, they will need assistance breaking the crippling dependency on spending related to the presence of international military and donor organizations. Consider: The World Bank finds that 97 percent of Afghanistan’s gross domestic product stems from those sectors. It comes at a cost. 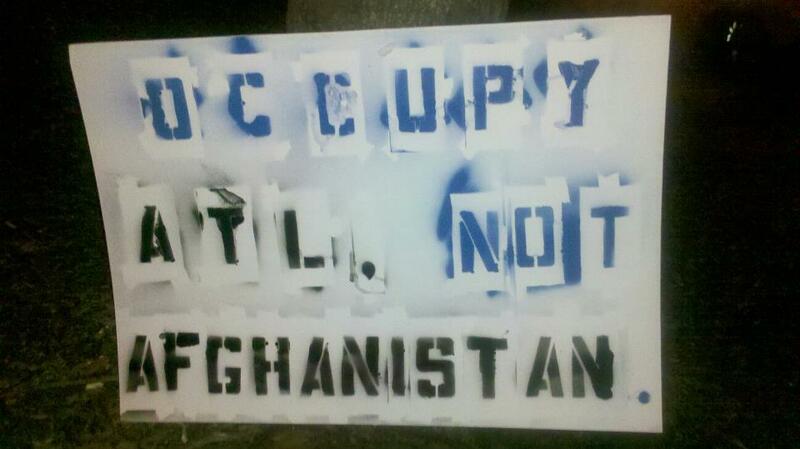 The US and the international community put conditions and demands on how their money is spent. They are pushing Afghan institutions in certain directions and must be held accountable. Instead of creating a militarized state with a standing army costing an estimated $6 to 8 billion we could invest in and support sustainable institutions. For example, fully funding the government’s ambitious five-year strategic plan for the ministry of education would be $2.5 billion. Until the US, the most powerful economic and military force in Afghanistan, embraces these goals, as well as a genuine peace process that includes all parties to the conflict, nascent Afghan institutions will never have a chance. It is time to start pulling the troops and weapons out. 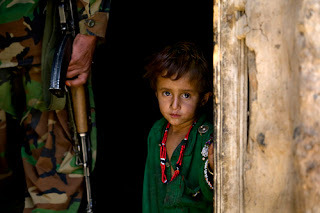 The $10 billion per month the US spends on the war in Afghanistan could make a very big difference in funding education, health care and other infrastructure needs both in Afghanistan and in our own country. 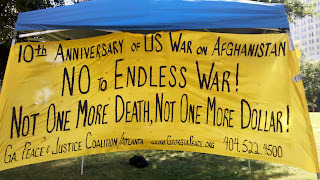 In Atlanta we will be working with the Georgia Peace and Justice Coalition to occupy Woodruff park to mark 10 years of war and occupation in Afghanistan. We will be there from 8am-6pm. After 6pm there will be a general assembly of the occupy Atlanta movement, which sprung up out of the occupy Wall street movement. We hope you will join us. 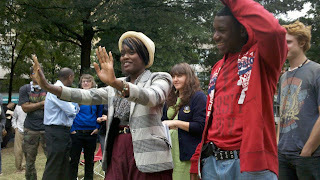 Below we've included a short youth created video submission from an AFSC project. It's painfully relevant. 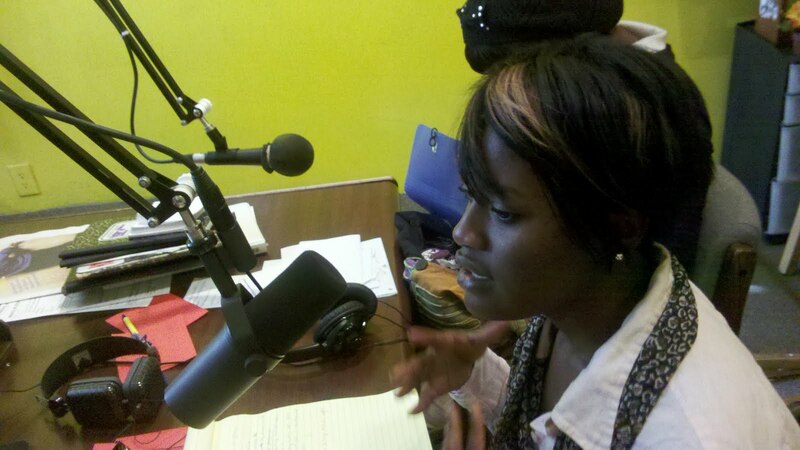 Be The Change Crew Rocks The Airwaves! This Friday marks the 10th anniversary of the longest war in US history, Afghanistan. The human cost isn't measurable and the economic cost is estimated at close to 500 billion dollars. 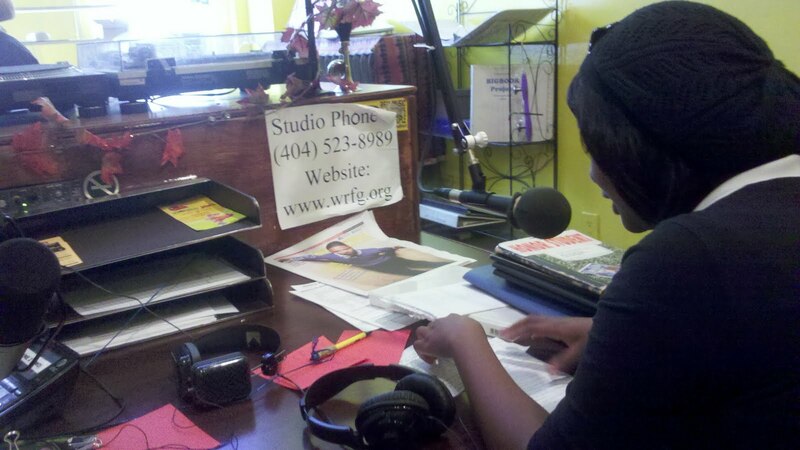 Our favorite radio station in Atlanta, WRFG 89.3FM, graciously devoted five hours of air time during their fall fundraising drive to the Georgia Peace and Justice Coalition for programing that focuses on the war in Afghanistan. The Be The Change Crew was asked to take the last hour of the show to focus on the effects of war on high school aged youth. 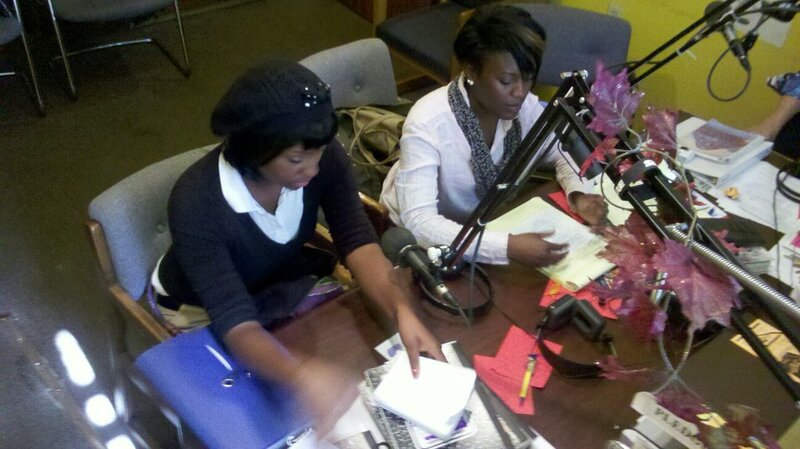 Dejah Ault and Jasmine Enadeghe hend it down for the Be The Change crew. 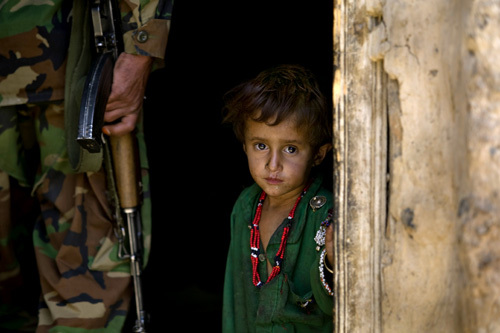 Both focused on the realities of being raised with war. Jasmine prepared a really staggering economic breakdown of US federal budget priorities and what the resources that are taken out of our communities to pay for war could be paying for if there was no war. Dejah spoke about the militarization of Atlanta youth, focusing on military recruitment in schools. When they opened the phones lines they were immediately jammed with traffic. 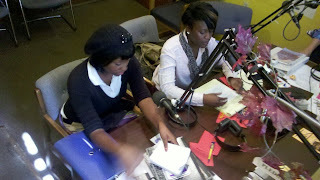 I hope to get the recording of the program up in the next few days, and there's definitely talk of a regular Be The Change Crew radio show! Earlier this year we had several talented young film makers following us around documenting some of the work we do. They ended up not only putting together a really amazing snapshot a our work over the course of a few months, they also have stayed involved with our Student Career Alternatives program ever since. I hope you will take the time to check out the film they made, there's a few real highlights that might inspire you to share it with your networks. A short documentary produced by Georgia State University students Kristy Breneman, T.J. Hicks, Victoria Temple, and Kristan Woolford in collaboration with the American Friends Service Committee's Student Career Alternatives Program (SCAP) and GSU's Peripheral Visions lab under the direction of Professor Niklas Vollmer. LAST BEST OPTION from T.J. Hicks on Vimeo.